SpyShelter Anti-Keylogger provides solid protection in real time against known and unknown “zero-day” spy and monitoring software, for example: keyloggers, screen loggers, webcam loggers, and even advanced financial malware. 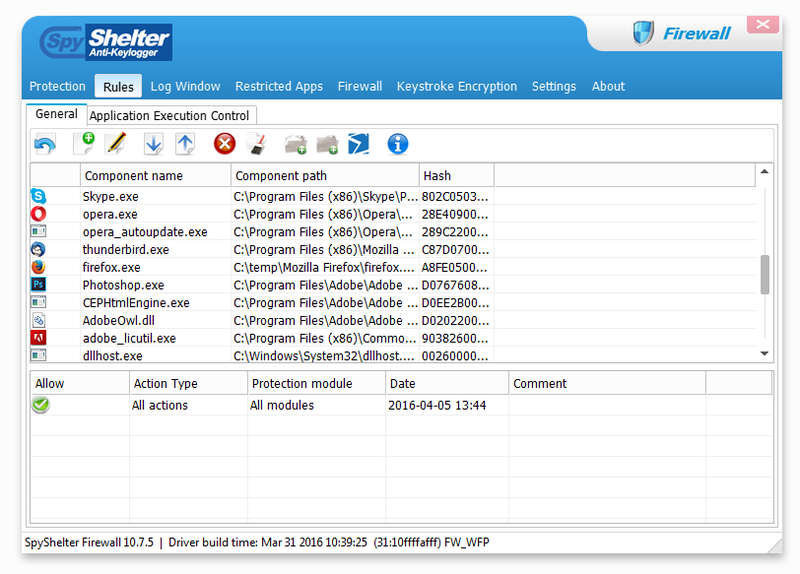 SpyShelter Anti-Keylogger monitors behavior of all currently ongoing actions on your PC and allows you to prevent any action that malware attempts to make. Thanks to our unique technology, SpyShelter is capable of stopping both commercial and custom-made keyloggers, which cannot be detected by any anti-virus software. Since SpyShelter does not rely on any fingerprint database, you will not have to worry about zero-day malware – your registry, RAM and all applications are going to be protected from the moment you install SpyShelter. Compared to other security software, SpyShelter’s fast algorithm processing does not slow your computer down, making it suitable even for older computers. Protect you against stealing your private data like passwords, chat messages or credit card data. Detect and stop dangerous advanced zero-day malware. Allow you to define rules for every application. You are in charge of your PC. 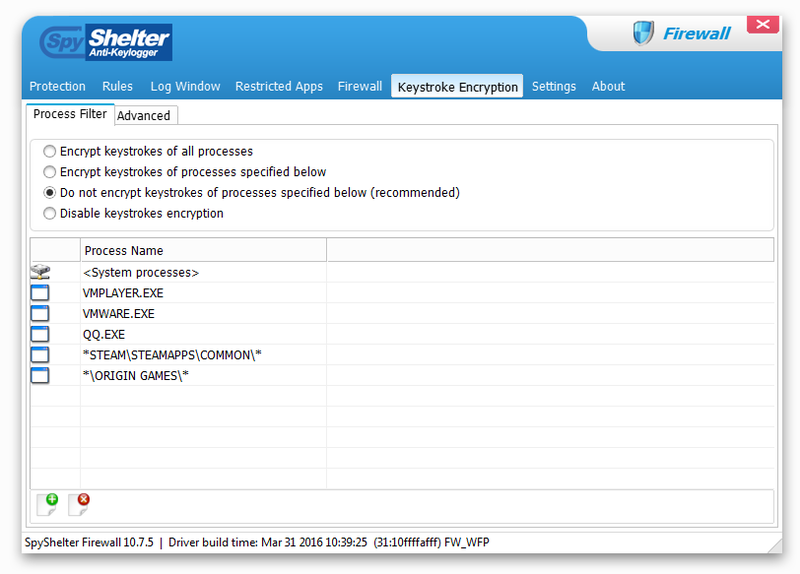 Encrypt keystrokes of all applications on kernel level. Protect your webcam and microphone against hijacking. 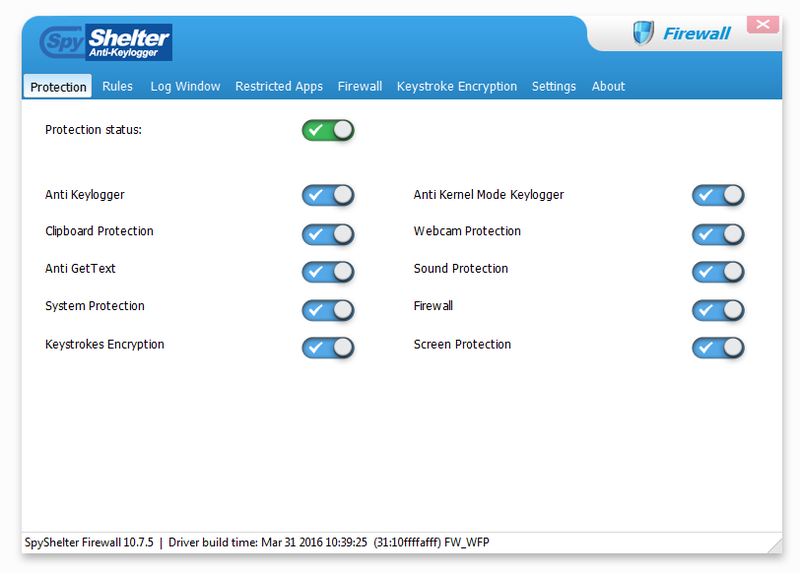 SpyShelter Anti-Keylogging Module protects your system against all kinds of keyloggers, no matter how advanced they are. 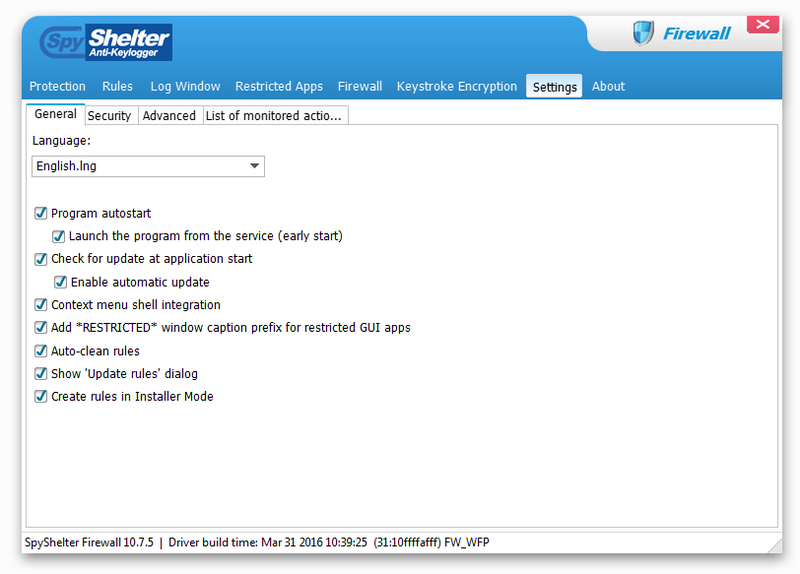 What is a keylogger? Proactive System Protection module (HIPS) constantly monitors and protects critical components of your system against known and yet undiscovered malware. SpyShelter encrypts all of your keystrokes in real time. This means that even if you allow any malicious application to run on your system, it will only retrieve meaningless random text. AntiNetworkSpy proactive module prevents dangerous trojans from stealing your private information while conducting important internet transactions. SpyShelter’s Webcam Protection module detects and stops unauthorized access to your webcam. Screen loggers might reveal sensitive data you enter on your computer, such as credit card information. SpyShelter will immediately stop all suspicious screenshot capturing activities.